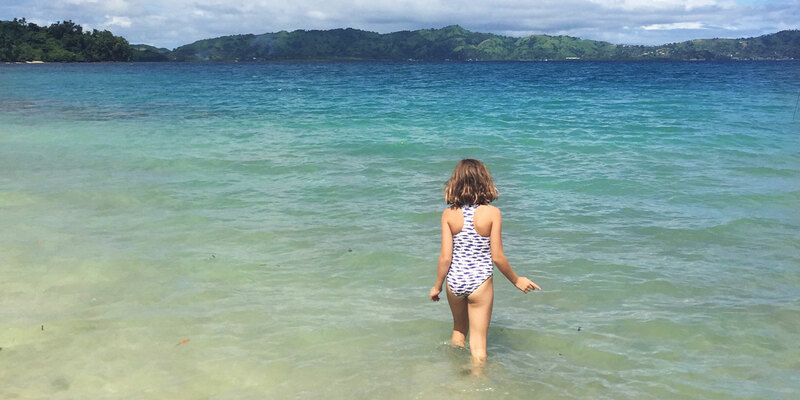 Kids feel a deep connection to nature from the very start — all we have to do as parents is open up that space for them to explore. 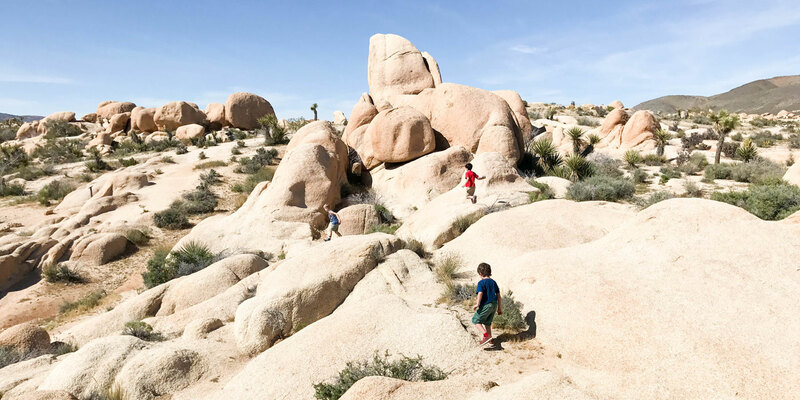 Mel and Vanessa Roy of Mommy Squared share how their kids get outside. Exploring the outdoors is something we've always enjoyed doing as a family. We try to make it a point to get some fresh air daily, even if we just go for a short walk. Kids feel a deep connection to nature from the very start of their lives. All we have to do as parents is open up that space for them to explore, and watch their imagination flow. Melanie and I use to talk about how we couldn’t wait for the kids to reach that age where they can go off and play outside without the need to have us attached to them. Jax and Ero are now three and two years old, and are totally capable of playing independently. The funny thing is that now that we have that freedom, we want to be even more involved in their playtime. Seeing their faces light up as they make discoveries here and there really teaches us adults to appreciate the little things. Ero, the youngest (but definitely the bravest), really enjoys getting her hands dirty; she can spend her entire day outdoors. Creeks, greenways, and nature preserves fuel her imagination. I remember making a flower crown with all the flowers she had collected and the smile on her face was the cutest thing. And then that same day, Melanie showed Ero how lizards can make really neat and unique earrings. (No lizards were harmed!) As a kid Melanie loved catching lizards and letting them bite down on her ear lobes. Crazy, but that’s our Ero, flower crowns with lizard earrings, and we wouldn’t change her for the world. Now Jax, on the other hand, can spend hours drawing on the pavement with chalk, riding his bike, and playing any sport at all--but he cannot have one speck of dirt on him. It’s fascinating how these two kids can be raised in the same house yet have completely different personalities. This kid and his sports though--his hand-eye coordination constantly amazes us. This is the boy who learned how to walk while chasing after a soccer ball, as if the sport was calling for him. So different from each other, these two, but one thing they share in common--no matter what funky mood they're in, nature is the perfect formula to get them grinning again. 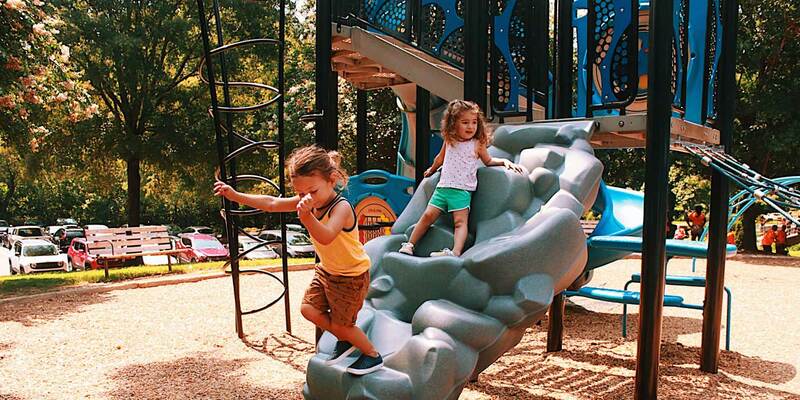 Not only do we think outdoor play is the most entertaining form of play, but we believe it to be extremely important for our kids' early developmental stages. Outside, they can use all their senses--seeing trees, hearing birds, touching water, smelling flowers and even tasting the raindrops. This self-awareness allows them to build connections in their brain, which set up a foundation for the rest of their lives. We are so excited to continue witnessing the new ways that Jax and Ero will discover to use the outside world as their personal playground. Words and photos by Mel and Vanessa Roy, of Mommy Squared.